Writing an IBC preview when the show itself is still seven weeks away is never easy. Despite best intentions, lots of exhibitors havent yet shown their hands (or are still deciding which cards to play) and many of those that have, are really not giving much away. However, fear not dear reader. The next two pages will not be blank. While pinpointing the most exciting product announcements almost two months out is pretty tricky, there are already themes emerging. So, in my role as TV-Bays chief prognosticator, here are four things that are (almost) guaranteed to cause a stir at IBC (and details of how you can find out more). OK, so this didnt require much guesswork. 4k is the hot favourite to be the big story of IBC 2013. Whether we like it or not, consumer electronics manufacturers want us to upgrade our TVs. 3D didnt persuade many of us. 4k might. As a result, consultants are predicting that global 4k TV set sales will reach 22m units by 2017. To put that in context, less than one million will be sold this year. Consequently, the people that make, sell, supply and install broadcast and production technology are throwing the kitchen sink at 4k products. At IBC you can expect Arri (11.F21) to finally bite the 4k bullet and offer up Ultra-HD (UHD) capabilities for its Alexa range. 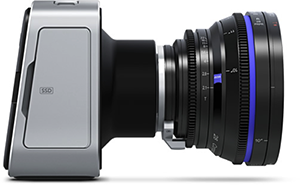 Then youve got the Blackmagic Design (7.H20) 4k Production Camera that was announced at NAB plus there are the various options from Sony (12.A10) such as the F55. But that is just the beginning. 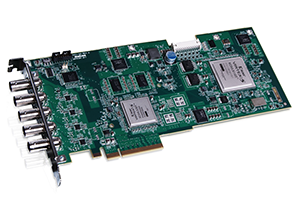 There will be whole 4k workflows possible soon with IBC showcasing everything from a Matrox Mojito 4k (7.B29) quad 3G-SDI 4K video monitoring card to a Thomson Video Networks (14.A10) Ultra-HD playout system that uses HEVC compression. On the high-end post side, check out Quantel (7.A20) and its Pablo Rio, a software-based colour correction and finishing system that can handle 4K at 60fps and delivers 20 layers of real-time full resolution 4k colour correction. 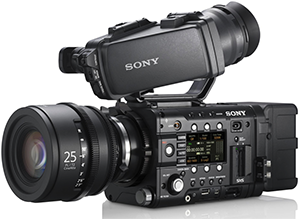 While production tools will be plentiful, the big question might be: can anyone transmit 4k. DVB (1.D81) will try to answer that, on the occasion of its 20th anniversary, by demonstrating its DVB-T2 standard delivering both a 4k signal (utilising HEVC encoding) and a mobile signal in a single 8MHz channel. If that doesnt float your boat, or you need to rest your weary legs, pop over to conference room E102 on 15 September at 11:00 where the SMPTE will present "Beyond HD: The Technology Landscape for Future Broadcasting". Here Dr. Hans Hoffmann of the EBU will introduce an extensive review of the definition of UHD, the publication of the SMPTE UHDTV Study Group report and explore the lessons learned from 4k work carried out at the 2013 Wimbledon Tennis Championships. A panel session will follow. Another subject likely to create waves at IBC is AVB (Audio Video Bridging). While using Ethernet to transport media signals is not really a new thing, it hasnt previously been possible for the network itself to recognize that it is carrying an audio or video signal. AVB, an agreed transport standard, alleviates that, allowing the network to put aside the necessary bandwidth and resources to ensure that the low latency signal gets to where it needs to be, in the right way, and is time-synchronized across all outputs. If youre wondering why this is important, it means live productions can one day ditch SDI and simply use a standard Ethernet connection or LAN to carry all sorts of signals. On the score, itll be worth checking in on Axon (10.A21). The company is launching a whole product line based around AVB that will allow for the creation of an Ethernet-based end-to-end live production set-up that includes monitoring, management and protection. 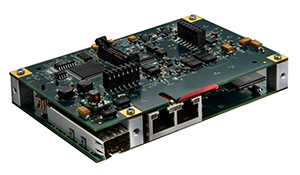 In the same hall RTS (10.D25) will demo AVB-compatible OMNEO interface cards that will allow its ADAM intercom system to work over an IP network. Also in Hall 10 the EBU will host a BBC R&D demo of a Fully Networked Studio production environment, showing high bit rate signals being exchanged in real time. There will be plenty more I can assure you. Even if the sun shines the whole time youre in Amsterdam, people will still be banging on about clouds: or The Cloud to be more precise. There are numerous potential uses from storage to playout but cloud-based collaborative video editing is the thing that everyone seems to want, but no one has quite mastered yet. IBC 2013 may be a turning point. Two potential ports of call are Adobe (7.G27), for its Adobe Anywhere for video offering, and stand 7.J20 for Avid Everywhere. 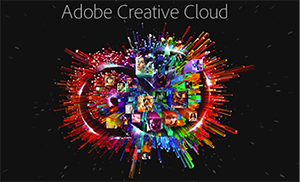 Adobe Premier Pro and Prelude, both available as part of Adobes Creative Cloud collaboration software platform, allow editors to work together using centralized media and assets, regardless of where they are in the world. The big benefit of Adobe Anywhere is that users can pass projects back and forth instantly without needing to render, transfer files or relink. Avid Everywhere is a similar concept. Using Media Composer 7 complete with support for Interplay Sphere for Mac - it extends real-time production everywhere as Avid puts it. And finally, an audio trend. Some 35 years after 5.1 surround sound was introduced and 20 years after Dolby Digital and DTS made it commonplace, the media industry is now embracing the next wave: Immersive Audio. Currently a cinema-only development, it could have far reaching effects, and broadcasters, producers and post-production folk alike will need to understand it. I expect this to start trending at IBC. The current theatrical battle is between Dolbys Atmos directional audio and Auro 11.1s three-layer sound immersion. To find out more at IBC visit Dolby (2.A31) and DTS (2.B50) respectively. For an alternative immersive audio experience, make another trip to see the EBU where there will be demonstrations of Binaural Audio, a development in which headphones are central to the 3D all-around-you listening experience. The big question of course, as with nearly all technology trends, is when will we see common delivery formats and system-agnostic tools made available so that we can all make the most of it? For answers, try the Auditorium conference session Immersive Audio - Advancing sound through healthy competition or an unwanted standards war? on Monday 16 September.